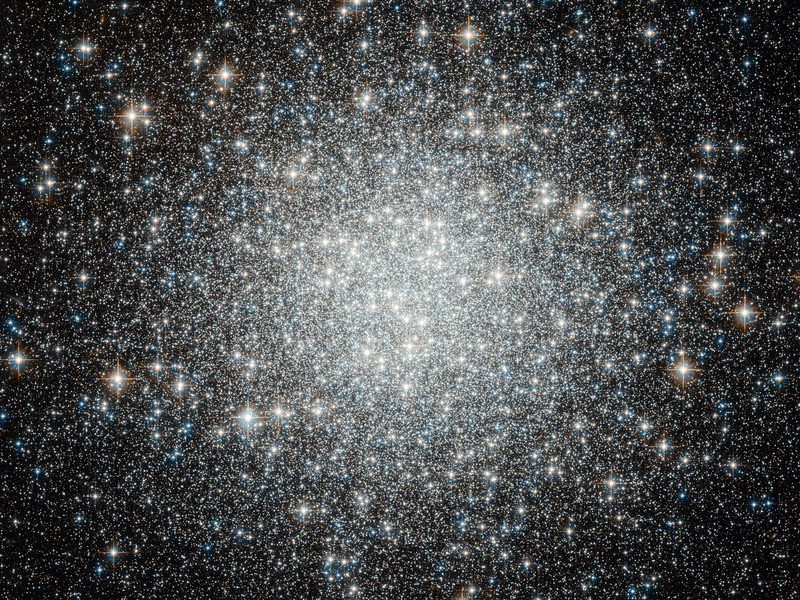 Thousands and thousands of brilliant stars make up this globular cluster, Messier 53, captured with crystal clarity in this image from the NASA/ESA Hubble Space Telescope. Bound tightly by gravity, the cluster is roughly spherical and becomes denser towards its heart. These enormous sparkling spheres are by no means rare, and over 150 exist in the Milky Way alone, including Messier 53. 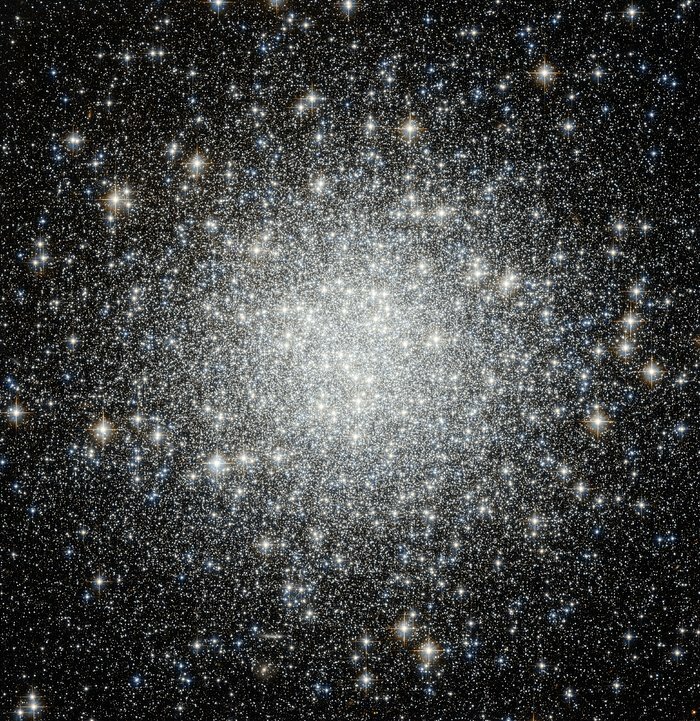 It lies on the outer edges of the galaxy, where many other globular clusters are found, almost equally distant from both the centre of our galaxy and the Sun. 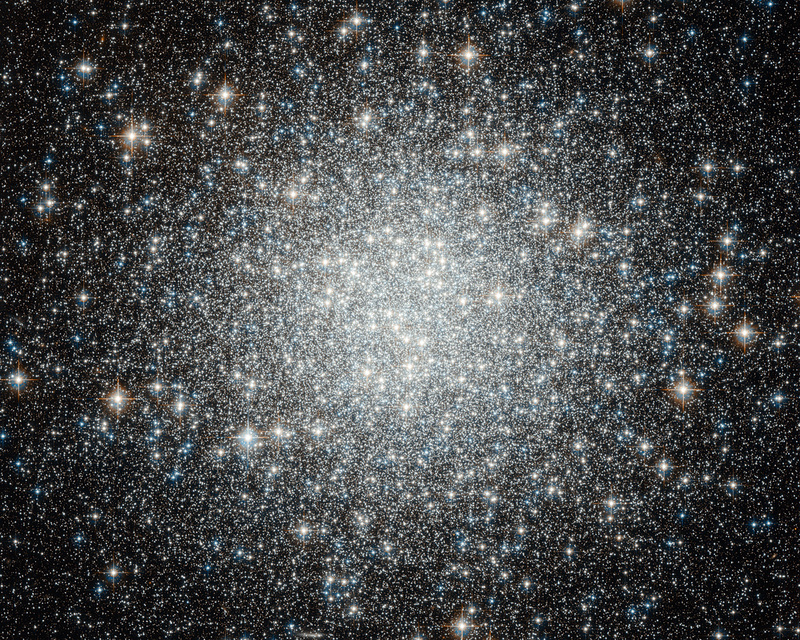 Although they are relatively common, the famous astronomer William Herschel, not at all known for his poetic nature, once described a globular cluster as “one of the most beautiful objects I remember to have seen in the heavens”, and it is clear to see why. 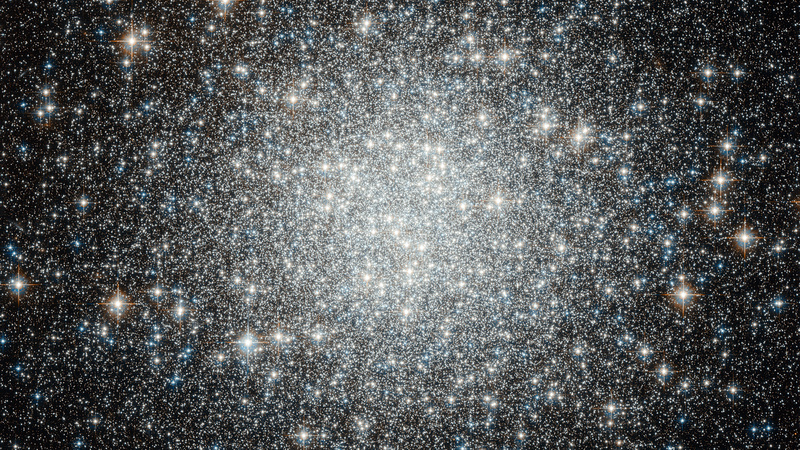 Globular clusters are much older and larger than open clusters, meaning they are generally expected to contain more old red stars and fewer massive blue stars. 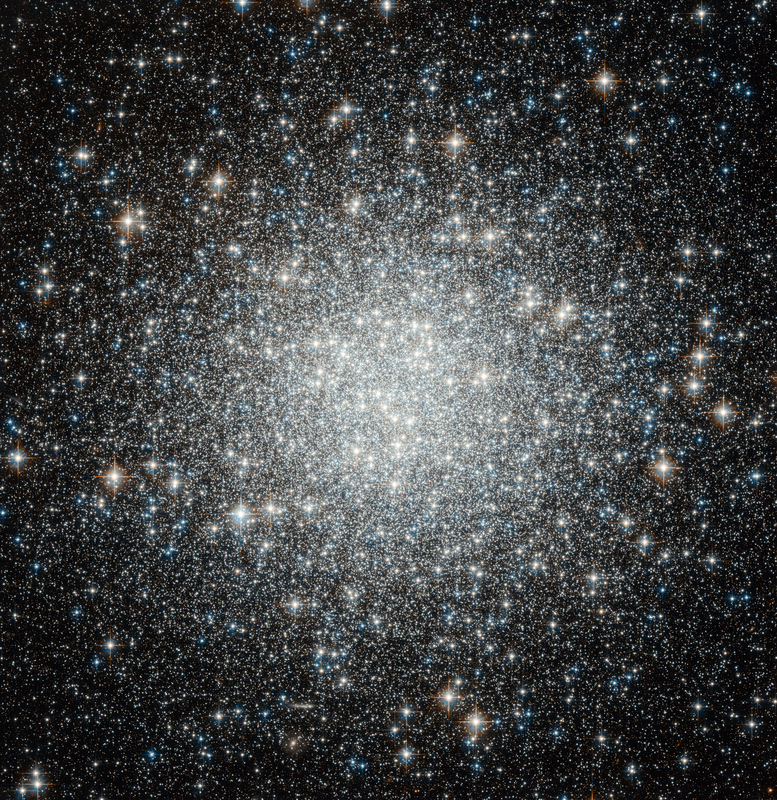 But Messier 53 has surprised astronomers with its unusual number of a type of star called blue stragglers. This picture was put together from visible and infrared exposures taken with the Wide Field Channel of Hubble's Advanced Camera for Surveys.The field of view is approximately 3.4 arcminutes across. Position (Dec): 18° 10' 10.53"